Emotions run high in Family Court. Generally, most families benefit if a matter can be resolved quickly and amicably. At GDWG, we always pursue the best resolution for our clients. If a favorable agreement can be obtained, we will move quickly to get your case settled. Unfortunately, it only takes one unreasonable person to prevent a reasonable settlement. Experienced practitioners know that the best way to obtain a favorable settlement is to be prepared and willing to go to trial. No two families are exactly the same. Each new case can present unique and difficult issues. There is nothing in this world more important than family. 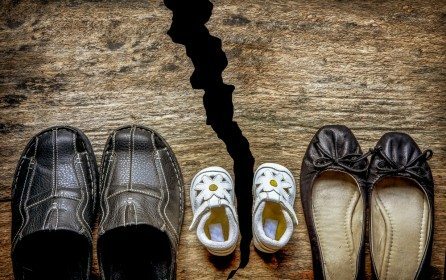 Whether you are involved in a separation, divorce or child custody matter, we will take the time to listen to you and help guide you to make what is often a difficult process as painless as possible. Because some Delaware divorce attorneys value the view from their Wilmington high-rise offices more than they value their family law clients, you can easily end up not getting everything you pay for. They get the view, while the client gets the bill. Not to say that there aren’t some good divorce lawyers in those offices, but why should you have to pay inflated rates, so that they can work in luxury? Our philosophy is that you should get excellent legal representation at a realistic rate. Even though we have over two decades of experience and have represented doctors, lawyers, judges, and multimillionaires who could easily afford to pay more, we still can’t in good conscience justify charging the exorbitant fees that we see being charged by the ‘downtown’ firms. At GDWG you’ll get experienced, aggressive, tireless advocacy for your case, all at a rate that is reasonable for Delaware. You are the best judge of what you need. Before you make up your mind, we encourage you to consult with one of our attorneys, so that you can make an informed decision. The value we bring to your case starts the first time we meet, so we charge for consultations on domestic matters for two primary reasons: 1) During the consultation we offer invaluable information which will benefit you, regardless of who you end up choosing to represent you, and 2) by consulting with us, you prevent your spouse from being able to hire us. Some call it the ‘Sopranos’ rule, apparently after a tactic used by a character on the show to take the competition out of play. The theory is this – there are only so many sought after attorneys in a given geographic area. By consulting with an attorney, you prevent your spouse from hiring that attorney. If consultations were free, a shrewd and calculating spouse would (and many do) schedule free appointments with every good attorney in town thereby preventing his or her spouse from hiring those attorneys. Since our time is valuable, and we don’t want to be conflicted out of a case based on a free consultation, we do not offer free consultations. A number of people feel it is worth the consultation fee, just to prevent us from representing their spouse.